A's Deck is a jumbo deck designed for stage card manipulation. In order to show a miracle, many magicians colored the back side of the card in black. However, there are some problems. For example, the card can easily become dirty and it also does not look good. 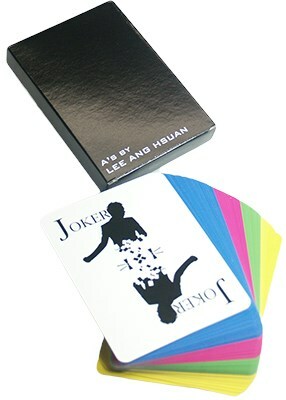 The LOGO is specially designed in the center of the black back to make the cards look like real cards when they are produced and dropped to the ground. 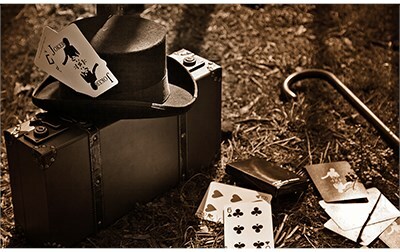 On the edge of the card, the black color makes it hard for the audience decipher the trick. 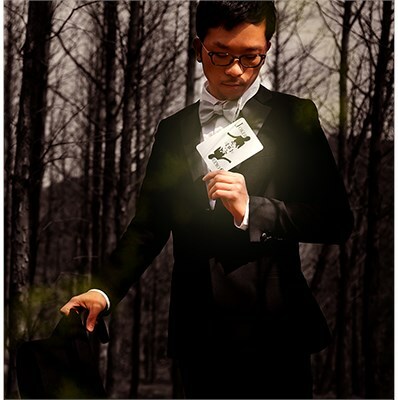 During the performance, many magicians like to apply the Fanning powder or Fanning Wax to their cards. However, there are some problems when using the wax or the powder, the card can easily become dirty and you occasionally need to re-add the powder. Nevertheless, with the specially designed Air Cushion just like BICYCLE Deck. This deck requires no Fanning Powder anymore. There are companies who sell the decks that the qualities often are too soft or too hard. If the quality is too soft, the card is easily to be damaged and it is also not suitable for some tricks. Furthermore, if the quality is too hard, you then have to spend more time to practice. With the ideal quality of the card, "A's Deck" will be your best choice. The thickness of A's Deck is similar to BICYCLE decks, but with more flexibility than BICYCLE decks. Therefore, it is easy for everyone to master.